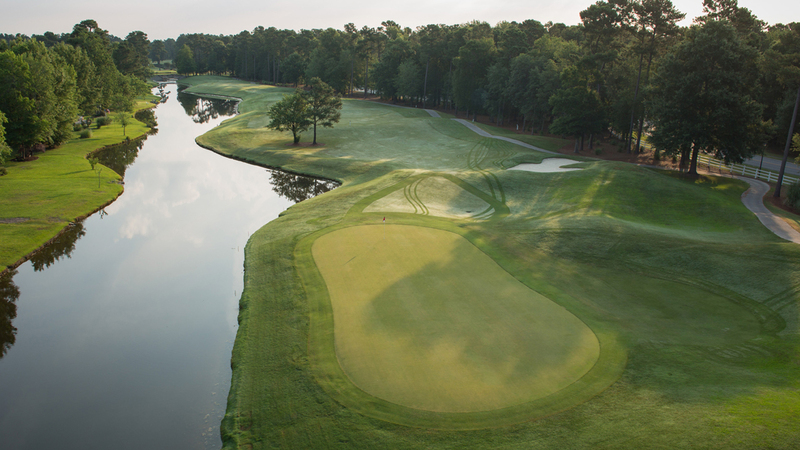 Unique to the area, the Cypress course winds throughout a natural Carolina hardwood wetland. 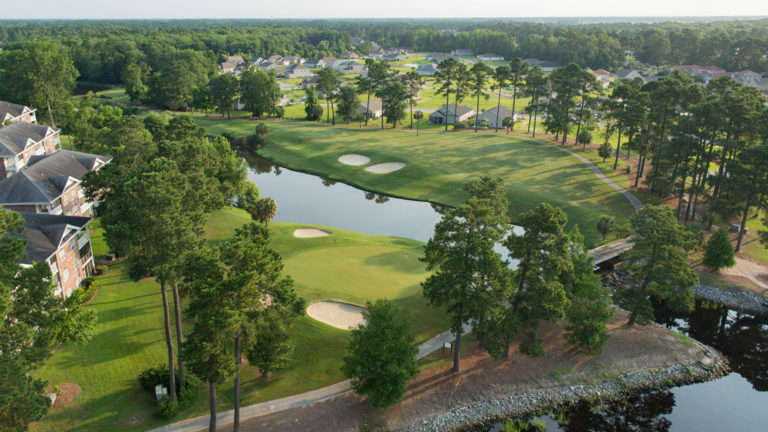 Taking great care to preserve the natural surroundings, some holes are bordered and even play through these naturally beautiful areas. 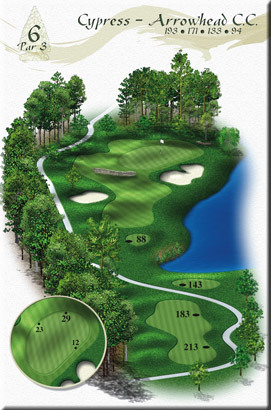 Holes 2, 3, and 4 have been described as three of the most scenic holes in America. 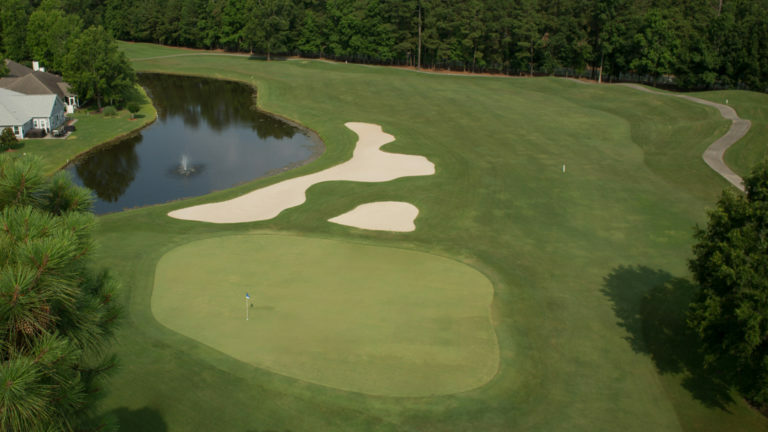 Featuring bulkhead protected greens, gradually undulating fairways and vast waste areas. 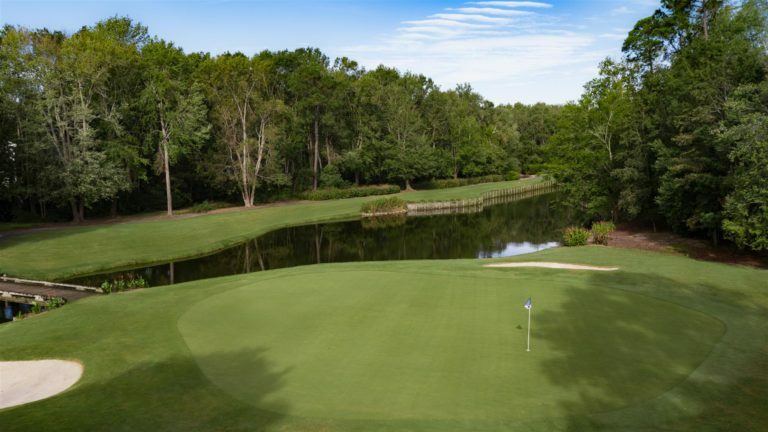 The Cypress may be one of the most memorable nine holes you will ever play. 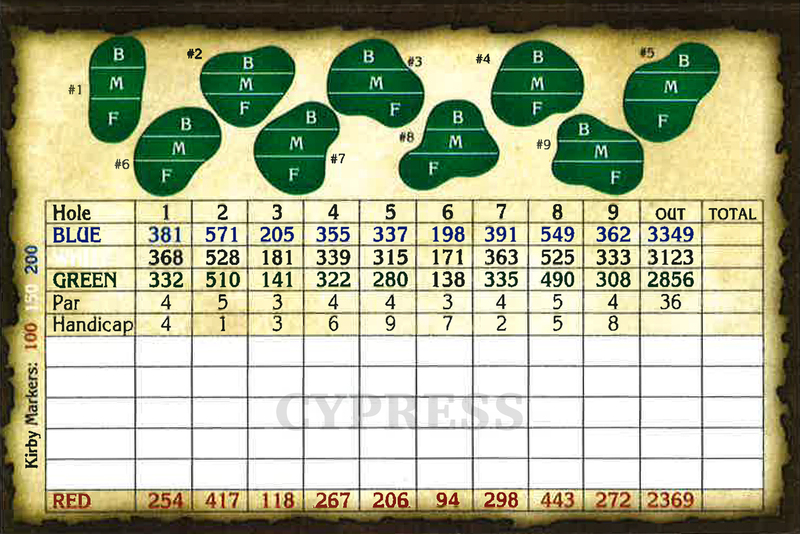 The Cypress nine opens with a par 4 that does not require length, but does require great nerves. 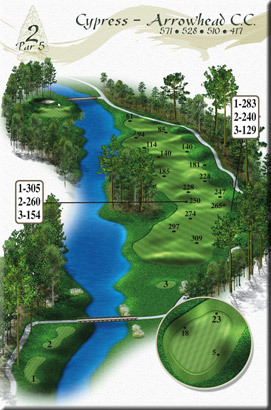 Definitely favor the left side as there is more room than there appears from the tee. Also, favor the left side of the green; on a miss left, the collection area works to your advantage for a potential up and down. 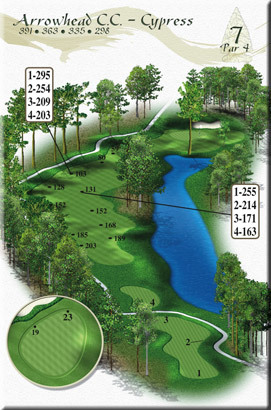 This monster is a true 3-shot par 5, but laying up off the tee is not advised as the second shot increases in difficulty the farther back you are. 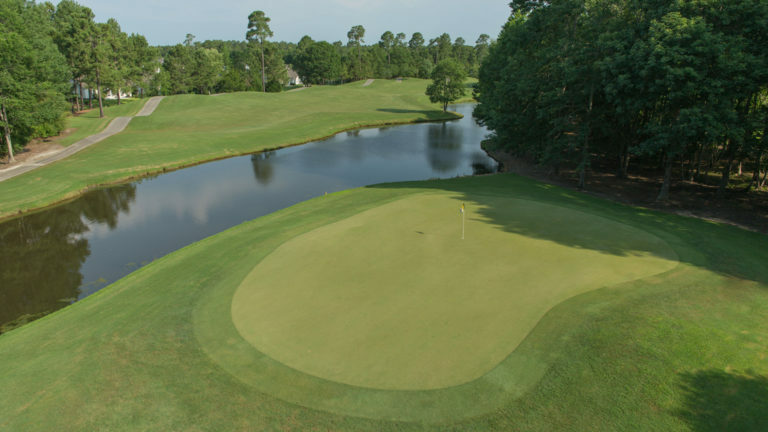 Play towards the right half of the fairway on your second shot and the ball will normally feed back to the center off the mounds. 5 is always a good score here. No rest for the weary! 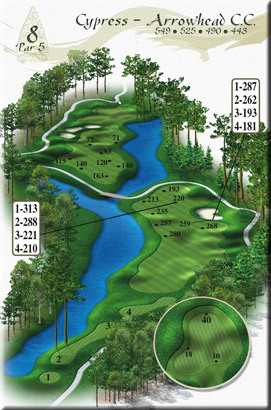 This par 3 has everything a great hole needs and it is as tough as it is beautiful. Make sure you take enough club as the wind tends to work against you. This is a good opportunity to make birdie, if you play conservatively. 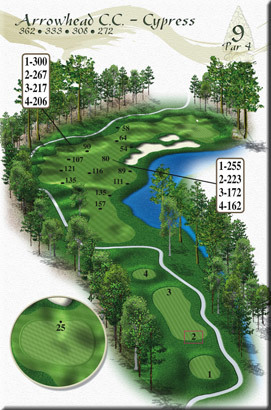 Check your distance to the end of the fairway, but it is usually safe to hit driver or 3-wood. 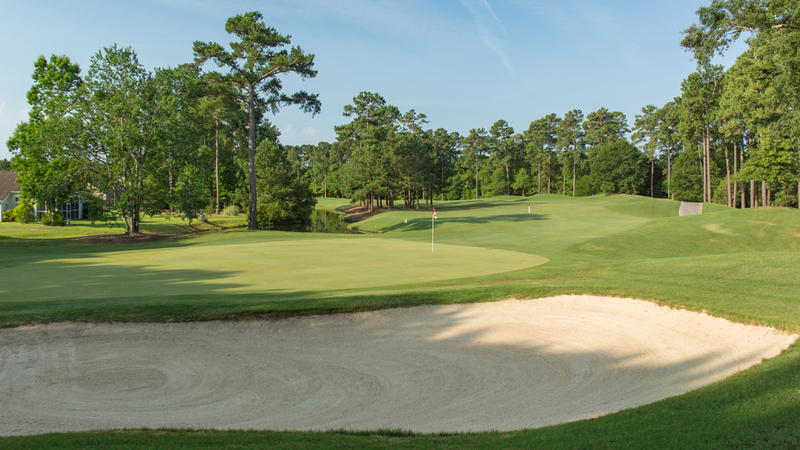 The fairway is generous up the left hand side and you will only be left with a short-iron while avoiding the two very nasty fairway bunkers. 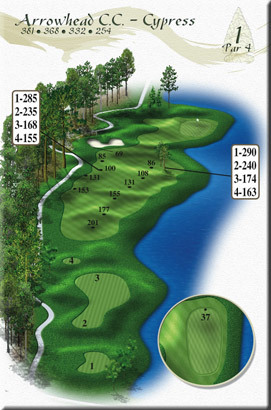 Your drive will determine your success here, but this hole is not as simple as avoiding the huge bunker. There are two deep valleys on the left fairway that can make the approach almost blind with an awkward lie. The key is to flirt with doom to try and reach the plateau with a long, straight drive. 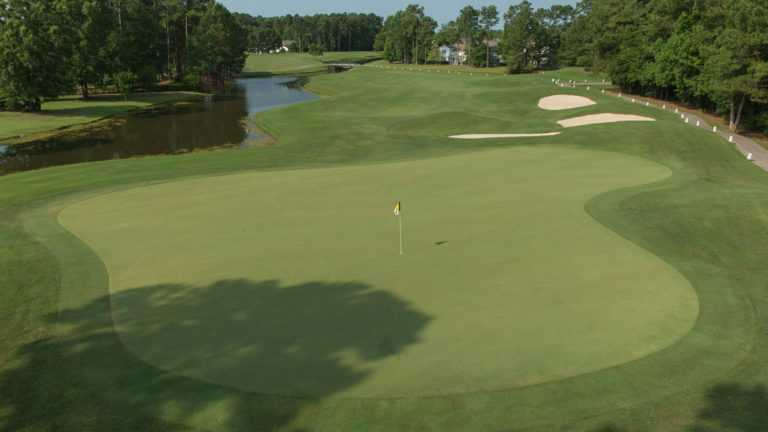 Adding to the obvious difficulty, any ball that does not land on the green will likely be deflected into one of the many collection areas surrounding the green. This hole is slightly uphill and an extra club is usually prudent. A drive down the left side is the perfect play. 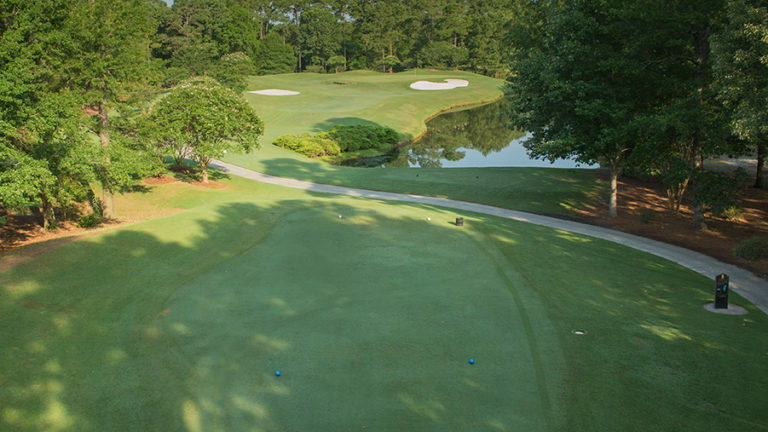 This is not a long hole, but a good drive is key in order to attack one of the smallest greens on the course and avoid being blocked by the pine trees to the right. There are a number of ways to attack this hole, but they all require precise shot-making. 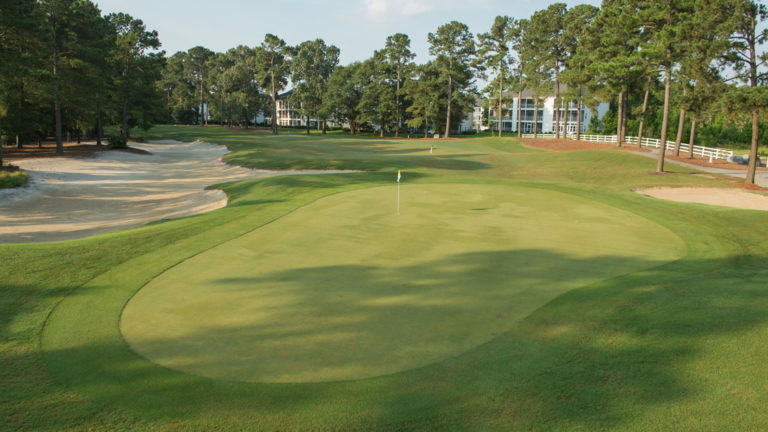 The fairway bunker is a good target from the back tees; from the white tees the bunker is reachable. 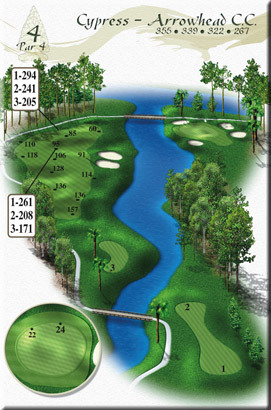 The second shot is not as difficult as it looks, grab a long-iron and aim just to the right of th bridge. Take heart, the green is large and receptive for your approach. The gradual dogleg right gives you an excellent chance to finish on a high note. 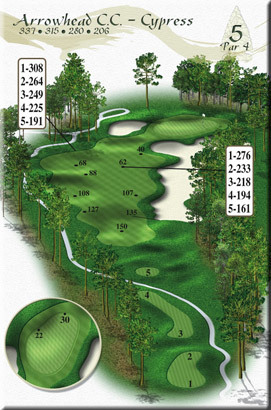 The fairway is very generous to the left side so take aim at the middle of the large mounds. The green is slightly elevated and the tendency is to come up short. Play it smart and par should be no problem.